After blanketing Yosemite Valley with over a foot of snow, winter storm Leo begins to break up. 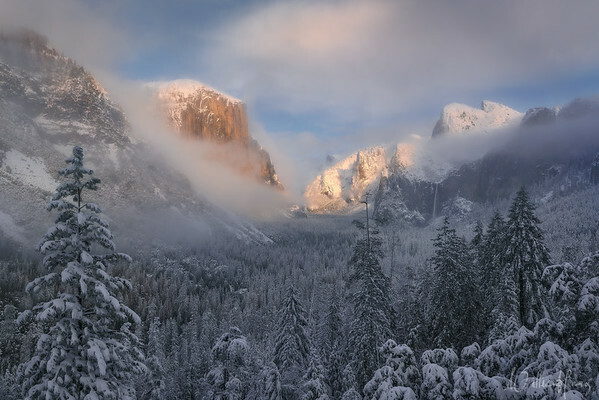 For a short time as the storm breaks Yosemite has an almost magical look with fresh snow, misty clouds, and soft sunlight illuminating the peaks. It is one of those moments that words cannot simply describe the unfolding beauty.